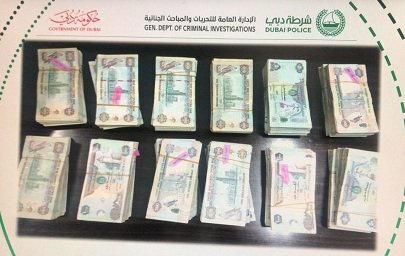 The Dubai police have arrested a 10-man gang that stole AED7 million (about $1.9 million USD) from a prospective bitcoin buyer. The arrest comes less than 48 hours after the police received a report of the robbery incident. Police authorities say recently integrated artificial intelligence (AI) technology in the police force helped with the timely arrest of the gang. Cryptocurrency related theft isn’t only limited to the cyberspace. Being valuable assets, people have been targeted by robbers on account of their crypto holdings. In February 2018, news broke out of a robbery that resulted in the theft of 18 bitcoins in Taiwan. What are your thoughts on bitcoin robberies? Do you think they are as serious as cyber-based cryptocurrency hacks? Please share your views in the comment section below. In a series of tweets, Ethereum’s inventor Vitalik Buterin stated that he intends to boycott the 2018 annual blockchain summit organized by Coindesk – Consensus 2018. He went on to outline a few of the reasons for his decision, strongly urging others to do the same. I am boycotting @coindesk‘s Consensus 2018 conference this year, and strongly encourage others to do the same. Here is my reasoning why. Apparently, the first reason for Vitalik’s boycott was the fact that the cryptocurrency news website posted an article, linking directly to a giveaway scam. The link led to a phony site, claiming to be the official blog of OmiseGo and it said that the latter is going to do an airdrop of 0.3 OMG tokens for each token the user owns. UPDATE: This article has been updated to remove a link to a fraudulent website that was misrepresenting OmiseGo in an effort scam users. CoinDesk regrets the error. As a reason number two, ethereum’s founder pointed out the lack of proper coverage of EIP 999. 2. Their coverage of EIP 999 was terrible. They published a highly sensationalist article claiming the chain would split, when it was very clear that EIP 999 was *very far* from acceptance. Ethereum Improvement Protocol 999 (EIP-999) was a proposal that would have freed up some 513,000 ETH which were previously frozen in 580 Parity Library Contract wallets after a bug that was written by a developer last year in November. The community went on to vote against the proposal. CoinDesk covered the event with an article on Wednesday, and, needless to say, Buterin wasn’t really happy with it. Buterin’s concerns also include the media’s failure to include the feedback that they had requested from one of Ethereum’s developers Peter Szilagyi. Seriously, is speed really that much more important to you than accuracy? Now, in all fairness, it does seem that Buterin doesn’t seem to have taken his time to research the matter. The page clearly says that if the journalist that is being addressed hasn’t previously agreed for a certain statement to be off the record, it will remain on it. Therefore, when approaching a journalist with a sentence such as “this is off the record, but I want you to know that…” doesn’t mean that it has to stay off the record as the journalist hasn’t given his consent yet. It’s a common practice adopted in all serious media websites and publications. Price is always a subjective matter, so whether or not it’s high is left for the atendees to decide. Do you think Buterin is right to call for a boycott of CoinDesk’s Consensus 2018? Please let us know in your comments below! Arbitrage exists as a result of market inefficiencies and would therefore not exist if all markets were perfectly efficient. How does one capitalize on this market phenomenon? This is, of course, Ed Seykota, a former commodities trader. A lot has changed since he first introduced this system, with the onset of blackbox and algorithmic and high-frequency trading, it is harder than ever for point and click traders to make money. The market has evolved and the inefficiencies that it suffered from in the 70s are unlikely to return. However, while the capital and debt markets are now highly efficient and, for the most part, very liquid, the same cannot be said for cryptocurrency markets. For one, the dissemination of information to the trading community is highly inefficient. The systems that aggregate volume and other data from various exchanges are still in their infancy and most importantly, the size of the trading community is growing every day. Is trading an art, a science, or is it no different than gambling and simply requires a degree of luck? Whatever camp you side on, crypto markets provide a unique opportunity to make very good returns on your investment. You don’t always have to be a trend follower or a contrarian, the smart way to approach crypto trading is by applying arbitrage models. The problem, of course, is standardizing the API data from the exchanges. While it is not an impossible task, it can be very laborious and requires a great amount of checking to ensure consistency between the different data feeds. Despite the fact that the cryptocurrency markets are trading with extremely high-volume levels, they are not nearly as liquid as we might think. This market is still highly fragmented in a web of exchanges under very different jurisdictions. The liquidity is spread through various more or less trustworthy exchanges all over the world. The emergence of more trustworthy regulated exchanges has boosted the overall liquidity but has not yet delivered the desired effect of lowering spreads and slippage costs. Furthermore, increasing liquidity would definitely encourage significant institutional investments and promote mainstream adoption. Volatility is something that has discouraged this much sought after mainstream adoption. This measure is related to uncertainty with regard to the extent of price changes. High volatility is evidenced in sharp and unpredictable price swings, while assets with low volatility will see little or minimal fluctuation in prices over a short-term horizon. There are various strategies one can follow to capitalize on the potential arbitrage opportunities that currently exist across crypto markets. No one can tell for sure how long these opportunities will remain available, as the broader adoption of these assets by the general public will invariably reduce bid/ask spreads and increase trading volumes. However, for now, one can simply make comparisons between different exchanges to understand the magnitude of potential returns on capital. The following numbers should be taken as an indication, these are not fixed levels and are subject to change. The price of Bitcoin on HitBTC is 2.55% higher than the price of the same asset on Exmo. Nowhere in capital markets can such discrepancy occur with what is said to be a leading asset in the digital economy and the spread on altcoins can sometimes be even greater. There are different ways to trade the same markets, directional, technical, contrarian, fundamental – or you can utilize a combination of the above and create a strategy that works for you. What do you think of market structure and is regulatory uncertainty to blame for such fragmented markets? Let us know in the comments below. Images courtesy of Pxhere and Shutterstock. GoldMint.io, a pioneering company which hedges a stable cryptocurrency with real gold, has opened up sales of GOLD coins. GoldMint is a blockchain-based platform powered by the digital asset GOLD, which is 100% backed by physical gold or delivery futures. Therefore, one digital GOLD asset costs the same as one ounce of gold on the Chicago Mercantile Exchange (CME). GoldMint’s physical gold is stored in the US Federal Reserve System’s banks, as well as in Singapore’s SGPMX custodians. For the sake of assurance, GoldMint fully intends on always making sure that its gold reserves are constantly even to or exceed the number of GOLD assets currently in circulation at any given time. The project runs on the GoldMint blockchain, is 100% backed by physical gold or delivery futures, can be used as a trust management investment tool for peer-to-peer loans and operations with gold, and is a transparent, fast and secure payment tool. GoldMint PTE LTD itself is a Singapore blockchain company specializing in gold tokenization. The company successfully completed its initial coin offering (ICO) in 2017 and raised $7 million. The company operates with two assets: gold-secured GOLD and MNTP tokens, which is used in the GoldMint locker to confirm transactions. Additionally, MNTP token holders get access to preferential commissions for operations with GOLD assets. The company’s tokens are currently traded on Bancor, Yobit, SIMEX, IDEX, Etherdelta. As of April 12, GoldMint users may buy and sell GOLD coins on Bancor using one or more of the 50 supported cryptocurrencies. GOLD is also available on Simex (Singapore International Monetary Exchange and IDEX (Decentralized Ethereum Asset Exchange). For the first time in history, users can take advantage of the opportunity to buy a stable coin, completely backed by the price of gold, in exchange for cryptocurrency. With the help of the GOLD stablecoin, crypto investors can hedge against the risk of cryptocurrencies falling in an extremely volatile market — which happens all too frequently. GOLD will also bring a new class of investors into the cryptocurrency market, as precious metals investors previously uninterested in cryptocurrency now have a reason to get involved. Not all cryptocurrencies and digital assets are created equal. The key difference between GOLD and other digital assets is that all GOLD coins are actually backed by a physical product — in this case, the most successful store of value in history, gold. Said gold is purchased under delivery futures on the Chicago CME exchange and then placed in a bank of the U.S. Federal Reserve system. When extreme volatility arises in the cryptocurrency market, GOLD affords cryptocurrency investors the ability to mitigate their risk by investing in a stable coin, as opposed to converting to fiat currencies. Additionally, GOLD smart contracts ensure that the amount of crypto assets sold is equal to the amount of gold held in GoldMint company. GOLD coins may be purchased with cryptocurrency at the Bancor exchange and can be stored in your compatible Ethereum wallet. Because GoldMint works on the Ethereum network, it is also compatible with ethereal wallets. The Goldmint team plans to launch a personal account with a multi-currency wallet, which will afford users the ability to purchase tokens via fiat money, bank transfer, or credit card, in 2018. If you’d like to learn more about the gold-backed stablecoin, check out GoldMint’s official website, or follow the project on Twitter, GitHub, Facebook, and Reddit. Are you interested in investing in a stable cryptocurrency backed 100% by real gold? Do you think GOLD is a safe way to protect yourself against the cryptocurrency market’s volatility? Let us know in the comments below! On 29 May, Sydney will host Blockchain & Bitcoin Conference Australia, a large event dedicated to cryptocurrency and ICO. Invited speakers will discuss Australian and world cryptocurrency legal regulations, state digital economy development, and new blockchain solutions tools. Experts will also discuss the ways blockchain is applied in business processes and ICO launches. Rupert Colchester, the head of Blockchain and Practice Leader at IBM Australia and New Zealand, will explain what makes a great blockchain for business. The main topic of his speech will be “Blockchain for Business Networks – Unplugging the Hype”, in which he will talk about the blockchain implementation into business operations. Ilyas Vali, a co-founder of rLoop, will deliver a presentation on the topic “The Power of Crowdsource Engineering, Starting with the Hyperloop”. The speaker will explain how blockchain-based decentralized engineering can contribute to innovations. Anthem Hayek Blanchard, CEO at Hercules SEZC, will also present at the conference. The main topic of his speech will be “Gold, Cryptocurrency, and the Blockchain”. The speaker is an experienced expert in the sphere as he is specializing in simplifying the use of gold and other physical fungible goods a currency through the blockchain technology. The conference program will also include a panel discussion. It will be focused on latest trends in Blockchain 2018-2019, where top experts from Arcona Digital Land and BlockTrade Investments will share ideas. There will also be a pitch session, where presented companies will have a possibility to talk about their projects and innovations. The exhibition area will give a space for cryptocurrency equipment and new technologies demonstration. The conference is organized by the international company Smile-Expo. In the framework of Blockchain & Bitcoin Conferences, the company has been bringing top experts together since 2014. Smile-Expo’s blockchain conferences have already visited 16 countries. Can Buyouts Help Solve the Cryptocurrency Marketplace’s Clutter? As is the case in traditional business, the cryptocurrency marketplace is a dog-eat-dog competition where only the strong survive. Unfortunately, this creates hundreds of failed projects and millions of dollars in lost value. Can buyouts help transfer that value back into Bitcoin and other major market players? Not every start-up business can find the success it needs to stay afloat, and even well-established companies go bankrupt. When this happens, buyouts from other companies may help salvage remaining assets for future use and provide many benefits. The same applies to the cryptocurrency space, as well. For starters, sometimes a company has begun development on a very promising new product or piece of technology, only to have it languish away as the team dwindles and the well runs dry. If a larger business comes in and incorporates the new product or technology into its existing business model, both parties benefit — as does the consumer. Likewise, some cryptocurrency projects have interesting ideas, but internal issues or a lack of funding prevents its dream from coming to fruition. If another blockchain company could buy out the failed project, the benefits would not be lost to the jungle that is the cryptocurrency marketplace. Another advantage is the reduction of competition in a space which is supersaturated with the same ideas — and nowhere is this more prevalent than in the cryptocurrency space, where literally thousands of companies are vying for dominance in the same handful of categories. In this case, having a smaller company get bought out by a larger company provides the latter with advantages due to economies of scale, while nullifying the need for a price war and allowing more time and effort to go towards expansion. Furthermore, successful buyouts do away with duplicate products and businesses offering essentially the same service — effectively cleaning up the clutter. Again, the cryptocurrency marketplace today is the very definition of clutter, especially once one ventures outside the 50 largest projects by market capitalization. Buyouts in cluttered environments, in turn, work to increase profits, as the dominant company is able to offer their products at better price points. Can Buyouts Work in Crypto? Buyouts aren’t really a thing in the cryptocurrency space — until now. One company, in particular, is looking to clean up the clutter and revolutionize the way business is done in the blockchain marketplace. Called CoinJanitor, the project purportedly aims to reduce cryptocurrency market dilution and restore lost value to broader cryptocurrency economy by buying out dead coin holders, community members, and creators. In essence, CoinJanitor offers everyone involved in a failed project the opportunity to join a successful project with a network effect that the projects they created or supported failed to achieve by implementing a subsequent systematic burn of the coins being bought out. With a CoinJanitor buyout, everyone wins. Users receive the chance to get value back from the failed coins that can no longer be sold while joining a growing community. Project creators get the chance to help lead a newly created community and put their failed efforts to good use, while the cryptocurrency market as a whole benefits from both an effective culling and the transfer of otherwise-lost value into Bitcoin and other viable cryptocurrencies. To learn more about CoinJanitor or participate in the upcoming ICO, check out the project’s official website here. What do you think of buyouts in the cryptocurrency space? Do you think CoinJanitor can help clean up the mess that is the blockchain market? Let us know in the comments below! The iCoin summit which will host the world’s first ever ICO battle with a live investment is heading to Cyprus with a line-up of more than 30 well-known speakers, 16 blockchain start-ups, and a $250,000 grand prize. This unique event is sponsored by one of the biggest companies in the ICO world, 7Marketz and will take place at Atlantica Oasis hotel on the 9th and 10th of May 2018. Rapidly growing demand for blockchain calls for an event of this caliber to bring the crypto community together in a rare learning and networking opportunity hosted by one of the world’s most active trading hubs, Limassol. Since its announcement, the iCoin Summit has tracked attention from prominent industry names and partnered with leading blockchain publishers like CoinMarketCap, CoinTelegraph, ICOwatchlist, and Webrazzi. Attendees will get insights into the blockchain market through speeches and panel discussion on a vast variety of subjects from the top minds in the industry like Benjamin Biliski from NAGA Group who was listed in Forbes 30 under 30 and the most on demand advisor, Yagub Rahimov who has been a blockchain visionary since the start of the crypto movement in 2009. What sets this summit even further apart is the ICO battle which adds an element of interaction as attendees get to take part in voting for the next ICO to be funded with up to $250,000 in direct investments. Start-ups will showcase their benefits in four different categories and battle for the grand prize through four different rounds. Among criticism on ICO investing, iCoin Summit will instill trust in the industry by bringing big names for open and honest discussions on all aspects of crypto investments. Details on the event are available on the official website. Hundreds of participants are already signed up to attend. Slots for attendees and companies to join are still available. For more information and registration, visit www.icoinsummit.com. As John F. Kennedy was wont to say, “a rising tide lifts all boats.” Essentially, what benefits one, benefits all. When Kennedy first uttered those words, it was in 1963 and he was talking about the economy. Flash forward 55 years and – as the cryptocurrency market appears to be recovering from a depressing Q1 2018 bear run – the same sentiment is applicable once again. This past week has been extremely gratifying for crypto community members who weathered Q1 2018’s bear market and made the choice to ‘hodl’ when others were panic-selling. At press time, the total cryptocurrency market cap was just over $394.9 billion – a more than 18% increase from the same time last week. These are the top three best performing cryptocurrencies based on 7-day market activity and with a 24-hour volume of at least $750,000. Game.com is an ambitious project that combines several elements into a total blockchain-based gaming environment. A combination gaming platform, digital asset wallet, crowdfunding platform, and instant messenger, Game.com is riding high on a rising swell of popularity. This time last week, GTC was trading at around $0.05 and has climbed to just under $0.35 per token. The sudden spike in value is no doubt due in large part to their partnership with Tron and this week’s announcement that Game.com would be running for a super delegate position in Tron’s upcoming Super Representative vote. A win in this election could not only push GTC prices even higher, but it would give Game.com a seat at the table and a voice in deciding Tron’s future. Pundi X is a project that aims to make every day crypto usage “as easy as getting bottled water.” It is a POS (point of sale) solution for retail businesses that will make it easy for brick-and-mortar businesses to accept cryptocurrencies in-store. Earlier in the week, Pundi X’s token (NPXS) was trading at just over $0.0014. On Friday it peaked at an all-time high of $0.0054 before settling down to around $0.0048. So why the sudden rise in price? First, the token was recently added to Korea’s Coinrail exchange, which currently accounts for more than 25% of the token’s trade volume. Next was a favorable review of Pundi X’s new POS terminal in this month’s issue of The Nilson Report. Finally – and probably most significantly of all – Pundi X executed its first NPXS token buyback of roughly 200 ETH worth of tokens at a price more than triple that of the then-current market value. Prices continued to climb in the wake of the buyback but are slowly starting to settle back down. Whether it settles in at a price higher than that of its 7-day low remains to be seen. XinFin is a hybrid blockchain network that combines the power and transparency of public blockchains with the security and speed of private networks. Designed primarily to serve the global trade and finance industries, XinFin has been met with enthusiastic response and successfully concluded their ICO last month. Since being listed on CoinMarketCap in mid-April, XDCE has been holding steady at around $0.003 per token. Last week, however, things started looking moonish for the cryptocurrency. Trading at $0.0034 this time last week, XDCE reached an all-time high of $0.0168 on Saturday before settling down to around $0.0115 at press time. The sudden spike in price is most likely largely attributed to XDCE’s upcoming listing on Singapore’s largest crypto exchange – COSS – as well as a 12.5 million XDCE trading promotion. That, coupled with growing interest in XinFin as well as project team that is absolutely doing everything right, could spell continued gains in XDCE’s future. Unfortunately, not all altcoins were watching the crypto market through green-tinted glasses this week. These are three worst performing cryptocurrencies based on 7-day market activity and with a 24-hour volume of at least $750,000. Octoin combines crypto trading, mining, p2p exchange, and multi-cryptocurrency wallet functionality into one easy to use platform. The platform’s token, OCC, has been steadily declining ever since peaking at an all-time high of $19.02 in mid-March, however, this past week saw a bit sharper of a decline than in previous weeks. Trading at $3.21 just one week ago, the price has dropped by nearly a third to $2.26 at press time. As far as what factors could be influencing the price drop, there isn’t much out there that is concrete. The Octoin team are hyping the hell out their platform through a series of mini-conferences and meetups, but there is also a lot of speculation as to the legitimacy of the project. A quick search on Google turns up numerous ‘Octoin: Legit or Scam?’ type articles and their BitcoinTalk thread is rife with investor complaints as well. Mind you, none of this has been proven, but if I were a betting woman, I’d bet against a recovery for Octoin. Ormeus Coin is a digital money system that is backed by a $250 million crypto mining operation that – according to a February press release – is one of the largest industrial crypto mining operations in the world. Prices for ORME have been all over the map, ranging from a low of $0.56 in September of 2017 to an all-time high of $3.62 in December that same year. Presently, however, things look quite different. Last Sunday saw ORME trading at $2.58, followed by a blink-and-you’ll-miss-it spike to $3.38 ahead of Ormeus’ global launch party and subsequent Ormeus Cash airdrop. Since then, however, ORME has resumed its downward slide and currently sits at $1.90. Considering that Ormeus’ crypto operation is reported to be pulling in $6.7 million per month, what gives with the poor token performance? The decline could be FUD-related. There were allegations on Reddit about market manipulation, but nothing was proven. The more likely scenario, however, is that we’re looking at a selloff in the wake of last week’s airdrop. Will it recover? Given the team’s active participation within the community and that the mining operation does appear to be legit, I can see this one going back up. Dragon Coin (DRG) is the native cryptocurrency of the Dragon Platform, which connects VIP gamer with “junkets”, casino VIP rooms across the globe that host private games and have a system of transferring funds via junket agents. DRG has slowly been declining since it first started trading in late March of this year and that downward trend appears to be continuing. At this time last week, DRG was trading at $0.975 and it just kept meandering downward to a price of around $0.704. I honestly can’t pinpoint any one single reason for the decline. The Dragon Coin team seems to be doing everything right, so perhaps it is just post-launch malaise and/or whales dumping. One of Dragon’s milestones is to launch their own branded junket in Macau. If that happens, I can absolutely see prices going back up to previous highs – and higher. Do you think that these tokens will continue their current price trends? Let us know in the comments below! Blockchain start-up White Rabbit, developers of a browser plugin that allows users to legally stream movies and television series from any open streaming service, has announced a strategic partnership with K5 International, a subdivision of K5 Media Group, a renowned media production company that has produced Oscar-nominated films. Financial details of the partnership, which was announced in Variety and The Hollywood Reporter, where not disclosed, however, the deal conditions suggest that K5 will grant White Rabbit users access to its library of 50-plus movies while the company’s co-founder Daniel Baur will join White Rabbit’s advisory board. Further details of the details, however, remain undisclosed. White Rabbit is developing a browser plugin that will recognize any type of streaming content and offer the viewer a chance to directly pay to the copyright holders of said content via secure blockchain infrastructure using the platform’s native WRT tokens. All purchased content will remain available to the user in the Rabbit Hole – the content library – regardless of the viewer’s geographic location. The tokens themselves will be available for sale during a whitelisting event later this year. Such deals show that the conservative cinema industry is becoming interested in innovative technological solutions and that our WRT token will have a very decent real-life application. Milligan is a renowned filmmaker whose filmography includes award-winning motion picture Letter to the King. I have been actively searching the blockchain space for over a year, looking for companies that can have a massive impact on the film industry. With White Rabbit, I saw a product that properly integrates blockchain and embraces the existing entertainment industry and fans in a unique way. K5’s portfolio includes films directed by such renowned filmmakers as Andrew Niccol and Tom McCarthy. Aside from that, White Rabbit has also announced that three specialists from one of Europe’s biggest blockchain companies Blockchangers will join the team. Jonas Therkelson will step in as CTO, Jon Ramvi as lead blockchain developer, and Robin Pedersen as full stack developer. We are incredibly excited to have K5, Daniel Baur and the Blockchangers team support our mission to ensure a legal, innovative P2P streaming market, offering fans the choice and access they deserve and the industry a transparent and instant monetization model for rights holders, film investors and talent. White Rabbit was first announced in October 2017. The project is currently being developed with the MVP (minimum viable product) expected to be released in the second quarter of 2018. Currently, the project holds a $1 million budget partnership program which offers up to $100,000 to any video service that joins White Rabbit. What do you think of White Rabbit’s new partnership with K5? Let us know in the comments below. Bitcoinist spoke with Alexander Stern, legal attorney and founder of Attorney IO, to unpack the complexities related to Bitcoin and cryptocurrencies taxes, potential loopholes for users, and how the IRS can easily track individuals using Bitcoin compared to fiat currencies. The fact that a lot of this is on a blockchain (and cannot be tampered with) does make the IRS smile. Bitcoinist: First, how and for how long has your law firm been involved with Bitcoin and cryptocurrencies? Are you seeing increasing interest from clients? Alexander Stern: I’m an attorney and the founder of Attorney IO. Attorney IO is a startup that provides legal AI to other lawyers to give them an AI’s perspective on the law. We proudly support lawyers working on the latest cryptocurrency issues, spanning from taxes to securities. I believe smart contract technology and legal AI are the future of the legal profession. Bitcoinist: So do you see the legal profession also facing disruption? In other words, will many legal experts be replaced by AI and smart contracts in the future? Alexander Stern: Yes, I think a huge number of lawyers will be replaced by AI and smart contracts. However, the best lawyers will embrace this techno-legal future rather than fight it. It is now common to get a joint degree in law and business. With the rise of AI and smart contracts, I think we’ll start seeing a lot more people getting joint degrees in law and computer science. Bitcoinist: Is trading crypto-to-crypto on an exchange like Binance or Poloniex, for example, a taxable event? Is it retroactive? If so, from what date did this go into effect? Alexander Stern: We asked some of the top tax law professors in the country this question. The Attorney IO Panel Report generally found that starting January 1st, 2018, all crypto-to-crypto exchanges are taxable events. This is the case whether you use an exchange such as Poloniex or even if you make a private swap without using an exchange. The only exception I’m aware of may be to use non-taxable retirement accounts. However, the panel said that, prior to 2018, a great deal of crypto-to-crypto exchanges are taxable events and have been since before the Bitcoin whitepaper was published. The question is whether the two crypto assets being exchanged are highly similar to each other in how they function. On the other hand, one panelist said, “I don’t think a swap of cloud storage for a car is LK [like-kind]. So why should a digital asset that allowed you only to get cloud storage be LK [like-kind] with a digital asset that could be redeemed only for a car?” In other words, all exchanges going back to Bitcoin’s release are potentially taxable events, especially when the two coins are meaningfully different in function. Bitcoinist: Is it possible to have taxable gains despite never having been converted into dollars? Moreover, what if the gains were wiped out by later unrealized losses? Alexander Stern: Yes, this is the single biggest news of the panel report. The blockchain ecosystem could move into a second generation of coins and leave the first generation in the dust. If that happens and most of this first wave of tokens drop to levels seen only a few years ago, thousands of families could owe tens of billions of dollars in taxes, despite receiving much less than that in dollars. This could haunt people for the rest of their lives. Bitcoinist: The CFTC considers crypto to be commodities while the SEC believes some are securities. Is there any clarity at this point? Alexander Stern: Cryptocurrencies are a completely new technology and paradigm. Regulators could decide they have features of both securities and commodities. It will also likely depend on the token itself rather than the asset class as a whole. Bitcoin looks a lot more like a commodity. The latest ICO often looks a lot more like a security. Ultimately, one token could be regulated as both a security and a commodity. This could mean at least two federal agencies would have simultaneous authority over one token. Bitcoinist: Many people in the crypto space get paid salaries in Bitcoin, for example. Would this be taxable the same as income in dollars? Alexander Stern: Yes. If you get paid in Bitcoin or any other digital asset, you generally have the same tax responsibilities as payment in dollars. Bitcoinist: We’ve seen instances where people claim they got “hacked” and that the funds are no longer theirs. How can the IRS technically prove that an individual has control of their funds? Alexander Stern: In my opinion, this seems very similar to losses due to theft outside of the blockchain. If you keep half of your salary as cash under your mattress, it is vulnerable to theft too. In some cases, the IRS does allow you to deduct for theft, but it is a very case-specific process. If you have a substantial theft from a cryptocurrency hack, you should get a tax attorney to guide you. Documentation, such as police reports or news articles on a major hack, can be crucial to demonstrate to the IRS that you did indeed lose money due to theft. Nobody should consider claiming a hack that is not genuine. That may lead to serious consequences that could include jail and fines. Bitcoinist: Are there any legal loopholes that Bitcoin users can use to avoid taxation? For example, sending bitcoin to another person as a “gift”? Alexander Stern: Generally speaking, no. A good rule of thumb in the tax world is to ask whether something would be effective if you use dollars instead of cryptocurrencies. If you get a salary in dollars or cryptocurrencies, you cannot avoid income tax by saying you gifted it all away. Bitcoinist: The IRS is increasingly forcing third-party intermediaries to turn over records such as we’ve seen with Coinbase. However, since technological innovation is always one step ahead, could new tech, such as anonymizing features, decentralized exchanges, cross-chain atomic swaps, etc., make it even harder for authorities to track individuals? Who do you see winning this game of cat-and-mouse? Alexander Stern: These new technologies could make it harder for the IRS but certainly not impossible. The Bitcoin blockchain is particularly susceptible to scrutiny. Panelist Prof. Ainsworth notes that “all the IRS needs to do is get a good computer out and draft assessment notices once they have the account numbers. However, the IRS is a very capable agency. People try to dodge taxes outside of blockchain investments all of the time. When you start driving around in a Lamborghini but report only a small income, that raises some serious red flags. If the IRS can catch tax evaders using cash, it can do so with even the most sophisticated anonymous blockchain assets. Bitcoinist: Given that 2017 was a record year in terms of price gains across the board for cryptocurrencies, do you believe we’ll see more people file taxes on the crypto returns this year or less? Alexander Stern: All sorts of federal and state government agencies have seen the dramatic price appreciation of cryptocurrencies. They all want to increase their authority and get a piece of the pie. The panel report notes that only a few months ago we saw a ramp up in IRS scrutiny of Coinbase. I think we’ll start seeing significant legal action taken against cryptocurrency tax dodgers, and this enforcement will spark a community-wide increase in paying taxes. Bitcoinist: Do you think tax service companies like Turbo Tax or H&R Block will start offering cryptocurrency tax services as it becomes more popular? Alexander Stern: Yes, I think that’s a great idea. Turbo Tax and H&R Block could make a ton of money by tapping into this burgeoning market. Most people want to comply with the law and that means paying taxes. These companies can make a few small additions to their systems and capture this market. Bitcoinist: What’s your advice for cryptocurrency users moving forward? Should they keep track of every single transaction and trade? In other words, even if you buy a small item such as a cup of coffee, you are technically incurring a tax obligation. It is no different than if you sold $5 in Bitcoin and took that $5 to the coffee shop. Both events are taxable. While this could limit the practical use of these assets as currencies, it may not be so onerous if you are with an exchange that automatically records all of the necessary information each time you make a trade. Bitcoinist: Finally, where can people find more information on this topic? Alexander Stern: I suggest that people read the entire Attorney IO panel report on cryptocurrency taxes and adjust their bookkeeping and tax strategies accordingly. Some of the best law professors in the world took the time to educate the cryptocurrency community about their obligations. It’s worth looking into what they have to say. Did you pay your cryptocurrency taxes this year? Share your comments below!